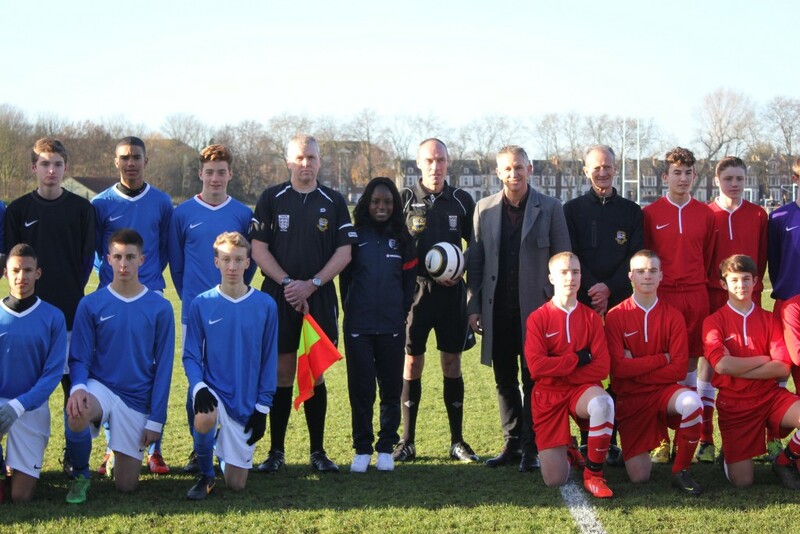 Brian Slyfield, the Club’s Deputy Chairman, was present alongside football legend Gary Lineker and England Women’s striker Eni Aluko to celebrate the grassroots game on 19th December 2014, as Surrey County FA brought the FA’s 150th year anniversary to a close. A showpiece event was staged at the Barn Elms Playing Fields to highlight the great work that makes football the nation’s most cherished sport, with 11v11, girls and disability football on display. Before the action kicked off, Surrey County FA dignitaries were joined by FA Chairman Greg Dyke at the graveside of Ebenezer Cobb Morley, to pay their respects to the man who created football as we know it today. 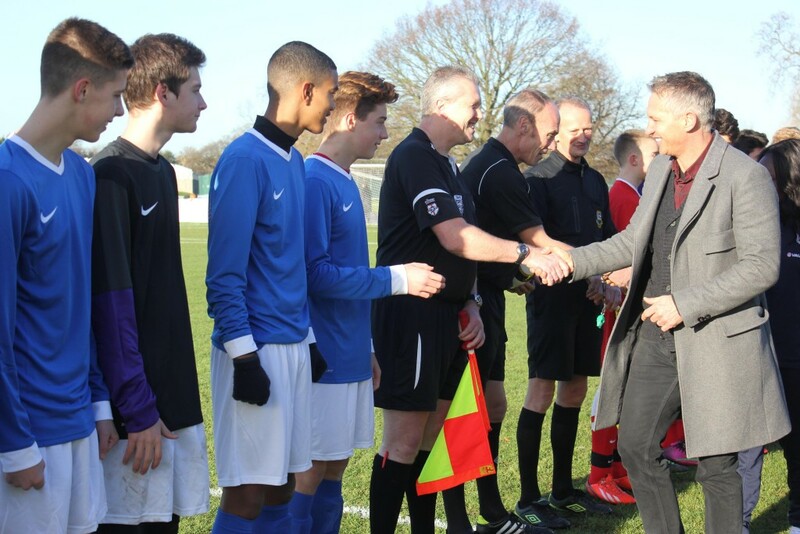 This was followed by a commemorative 11-a-side football match between Richmond Park Academy and Christ’s School. It was held at the same location where exactly 150 years ago the first match was played, based on the Laws of the Game, penned by Morley. ‘Ebenezer Cobb Morley was laid to rest here, so it is only right that the FA honours this site’, commented Gary Lineker. ‘The game we now know that captures the imagination of so many around the world all grew from here’, he added. The main event took place after the opening of a new stand at the ground and was followed by the match between Richmond Park and Christs, watched by a large crowd, the dignitaries and several TV stations, including Sky, CNN and the BBC. Brian Slyfield, along with Tim Gilmore and Jim de Rennes were invited to the event to act as match officials.